We want to play at your wedding! Most people have lots of questions and (understandably) concerns about booking the right band to suit their big day. 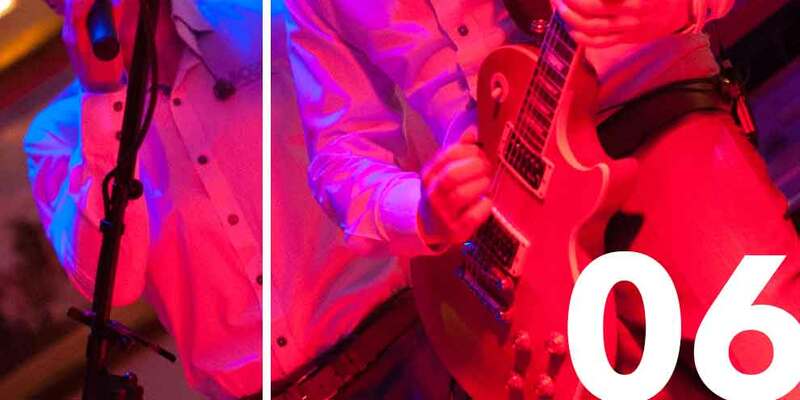 We’ve tried our best to answer as many of the common queries that people have, and to reassure you that (if you like our musical style) there’s no better band for your wedding day! I’m getting married, am I looking in the right place? YES (but then we’re biased lol) and we would love to play at your wedding! Congrats on getting engaged by the way! 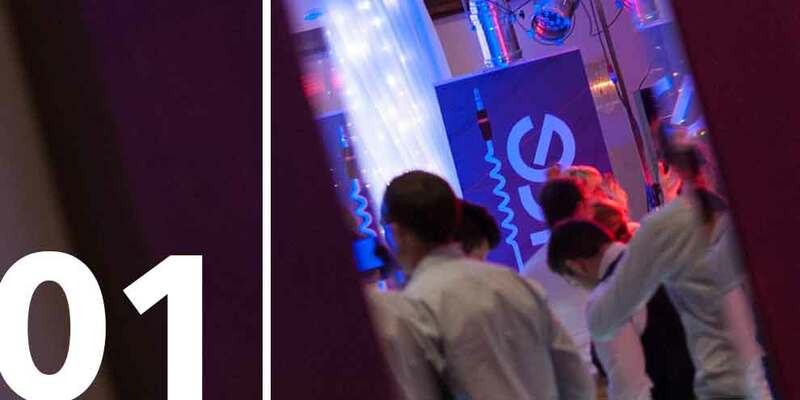 We like to keep things simple, and talk straight – it’s hard to put your thoughts in print without waffling on and on, but we’ll try our best to keep to the point and only talk about how we can really help you have a fantastic wedding reception! What sort of band are you? 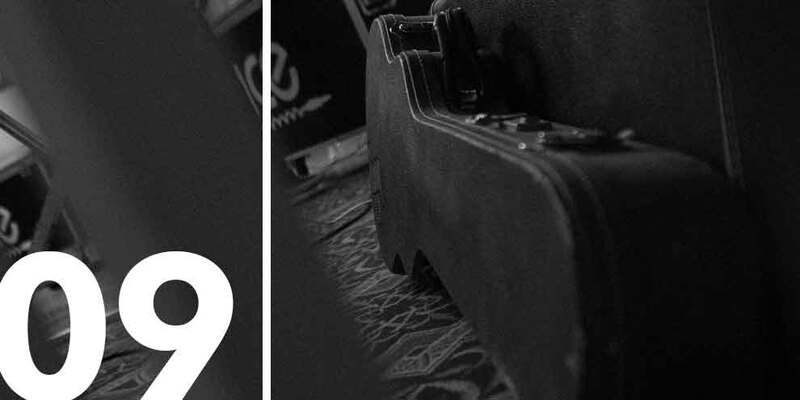 Regardless of musical ability, we feel the most important skill for any wedding band to have is the ability (and desire) to ‘read’ the crowd. There are loads of great bands throughout Northern Ireland that will sound fantastic in a bar or club, but will fail miserably at a wedding because they don’t have this fundamental skill. 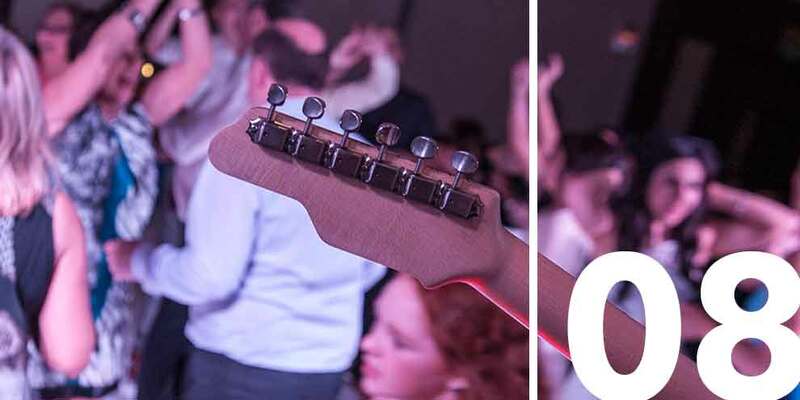 You need to be sure that your band doesn’t play a predefined setlist – what works one night will most certainly not work the next, as wedding crowds don’t have a typical demographic! Anybody can fluke a good night just by having a crowd that suits them, we simply aim to suit the crowd! If you’re reading this then you’re either getting married or thinking about it, so surely you want to be considering a band who have a consistent track record? We have entertained tens of thousands of people at hundreds of weddings and won numerous awards – how many other wedding bands in Northern Ireland can say that?? What sort of music do you play, and will it suit my guests? We play a constantly evolving wide range of songs, that really do suit all ages and tastes. For full details of the range of songs we play, go to the songs section on the menu above – we think it speaks for itself! We know how to pair songs together, so that when people are on the dance floor they stay dancing – there’s no point getting people to dance if they sit down because they don’t like the next song! We generally will play continuously for periods of between 15-30 minutes at a time, which is usually great for keeping people on the floor longer. No, we try and concentrate our sound on the dance floor area, and always strive to get a balance between being loud enough to encourage people to dance, but not so loud that it’s uncomfortable for people that aren’t dancing. Consequently, if your guests are sitting in the areas of the room away from the dance floor, then they should be able to have a conversation without shouting in each other’s ears! Of course – the more requests the better! We never use a set list, so are always guided by the dance floor and audience requests. We have no way of knowing in advance what the crowd will (hopefully!) dance to on the night, but we constantly monitor the crowd and ask for requests throughout the night – this is simply what helps us decide what to play. Take a look at the songs we play on our song page. I really want a band/DJ package, do you offer this? Yes!! That’s what is booked for at least 95% of the time, as it offers a smoother flow to the night and also works out cheaper that bringing in a separate DJ. We started offering this service in 2005 (long before it was the norm), and haven’t just jumped on the package bandwagon! We put a lot of thought into offering it, and (unlike at a lot of bands) we don’t use a separate DJ so that we can go home, or spoil the disco by packing half the gear away for the sake of getting home a bit earlier. We both stay all night and continuously ask for requests, plus we know how to DJ properly! 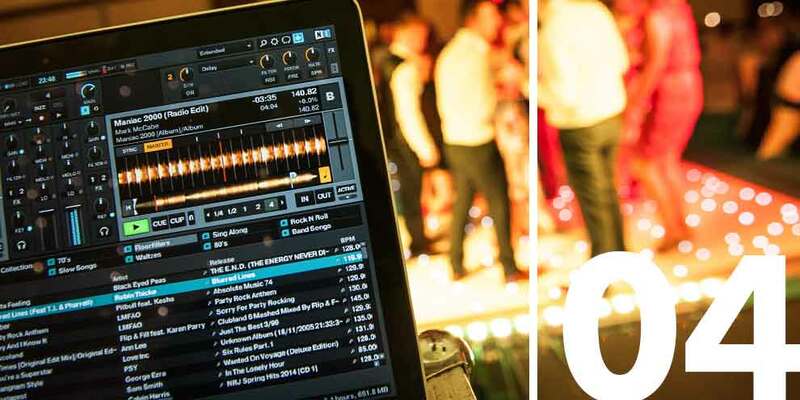 We don’t use iPods or outdated CD players (a lot of bands are criticised for this), we use professional DJ software with all songs beat-matched and smoothly mixed to ensure the dance floor is continuously buzzing. Finally, as all of our equipment sits until we finish, we play again for the last half hour of the night – we find that it’s a great way to end your day, and the improved interaction that the band brings helps us get the crowd involved to give you a really great send off! You play at end of the night too? Yes, we hit the stage again at the end of the night! 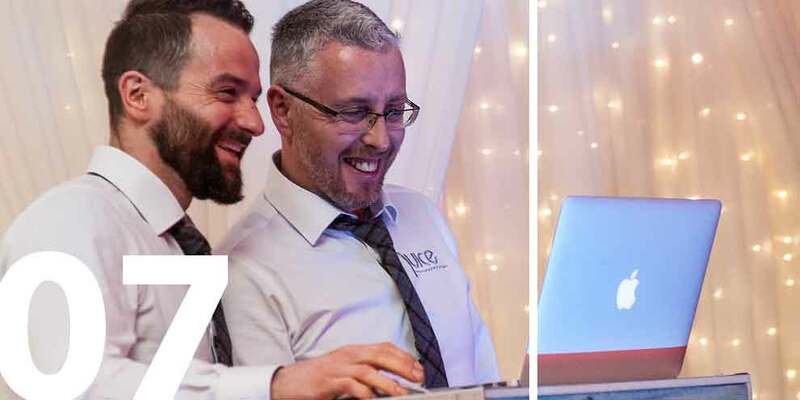 We’re not saying that we invented this part of the band/DJ package, but (to our knowledge) we were the first wedding band in Northern Ireland to offer this service. We may be the only band that actually does it, as we know lots of bands and none of them do this! We both feel it’s a nicer and more personal way to end the night, and enjoy the improved crowd participation that it brings to the end of the wedding day! I really want a busy dance floor – can you guarantee this? Well, the honest answer is no! (bet that surprised you! lol) We have a very consistent record of filling dance floors at weddings throughout Northern Ireland and beyond (our awards and fantastic customer reviews are testament to this), and to be honest we don’t think many bands are as consistent as us in this area. However, we do get the occasional night where things can take a while to get going, or the crowd don’t really dance much! Thankfully this doesn’t happen much, and even the quietest crowds still dance a bit – we never stop trying, and generally will get a crowd dancing eventually. We think you would need to question anybody who guarantees a packed dance floor! As we play such a wide range of music, we’re able to cater for a lot of tastes, and will try every style of music until we get a reaction. Maybe we’re too fussy, but we like to see the dance floor full, and people jumping round enjoying themselves (and maybe dancing too!). We’re pretty confident that, if you have a crowd that wants to dance, then we’ll get them sussed and get them dancing – all night! I’m getting married outside Northern Ireland – how far do you travel? Short answer – anywhere!! We have no limits as to where we will travel (providing we are free of course! ), but there obviously would be additional costs incurred. We have played at weddings all over Ireland (from Donegal to Wexford), and have also played at weddings in the mainland UK too. We also been asked to play at weddings in mainland Europe and around the Mediterranean, but unfortunately we’ve been already booked on these occasions :0( We’re aiming to hopefully to play at a wedding in the sun someday!! (if anybody wants to pay our expenses and take us to Vegas, we might even do it for free!! ha ha) We don’t charge a travel fee for anywhere in Northern Ireland and a lot of the border county areas. If you’re planning a wedding outside the North, then please feel free to contact us and we can work out what extra costs would be involved. Everything sounds great, but are you expensive? It’s the obvious thing to say, but we don’t think so! We’re not the cheapest band, and are far from the most expensive! Some people reckon that the evening is one of the parts of the wedding day that people comment on and remember most, so you don’t want to cut corners and ruin the chances of having a good night – although, you obviously don’t want to pay through the nose for your entertainment either! Do you supply all equipment? Yes, we supply all the necessary sound and lighting equipment. 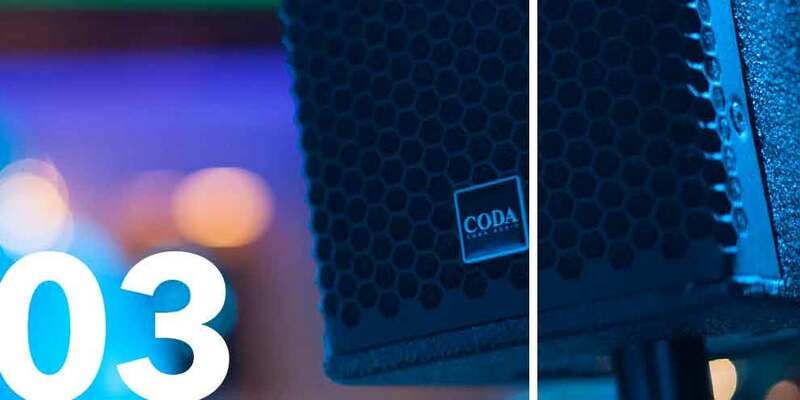 We use best speakers and amplification available (Coda Co-Ray 4 speakers, Coda PW418 bass bins and Crown Macro Tech i Series amplifiers). We also use eight high powered professional LED stage kans, which change colour and chase to the music. And we’ll not even talk about Rod’s amazing guitars, as we’d need another page! lol If you were looking for any other equipment such as LED dancefloors, pyrotechnics, dry ice, lasers, etc these would have to be hired from a specialist company. The short answer is no! Sorry about that, but we feel it’s very important that every couple that book us is treated the same, so everybody gets quoted and charged the same price – NO EXCEPTIONS! Depending on distance, there may be a travel fee added, but the basic rate never changes. You can be confident that, if you decide to book us, you will get the best price! We really appreciate EVERYONE who books us, and would not want somebody getting annoyed at a later date by finding out someone else got a better deal than them. That’s not really a question that we can answer! We work hard at what we do and try our best every night that we play, but ultimately music is all down to personal taste and you have to decide whether or not you like what we do. All of information in the other sections above is factual and not down to different interpretation, whereas any band’s sound can be appreciated in many ways (or not!) by different people. The best thing we can recommend is to watch our live videos and read our customer’s comments. We would like to point out that the videos are totally live, and the audio hasn’t been enhanced in any way. If anything the videos are drastically under produced, as the only device to record our sound was a single microphone on the main video camera! We took this approach, as we wanted to try and reproduce a sound that was actually close to what is heard in the room when we’re playing. To use a lot of post production techniques ,while sounding better (some bands even use studio recordings with overdubbed crowd noise!! ), would not achieve this result – we’re not here to fool people into booking us for the wrong reasons. A lot of people have commented that we sound a lot better live, but again that’s not for us to comment on!! lol If you want to know what other people think, then we’re very lucky to have received loads of great comments – in particular take a look at the ridiculous amount of facebook comments that we’ve received, we’re amazed that so many people have taken the time to say such nice things about our work! 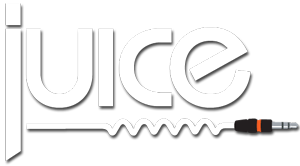 Why Juice as your wedding band? If you want a band that genuinely will try to make your night as special as you feel it should be, then we should definitely be on your short-list! We strive for a busy dance floor every night we play, and really what else do you want? However, we haven’t put this site online to do the ‘hard sell’ – far from it, we just want it to be factual and informative. If you have clear and concise information about what we offer, then you can confidently make a decision about whether or not you think we can help you and your guests have a great time at your wedding! At the end of the day we also want to have a great night, and this won’t happen if we try to ‘bend’ the truth to our advantage – so we only want you to book us for the right reasons! We don’t forget about the essential things that most people take for granted, and all the little things really do make a difference. 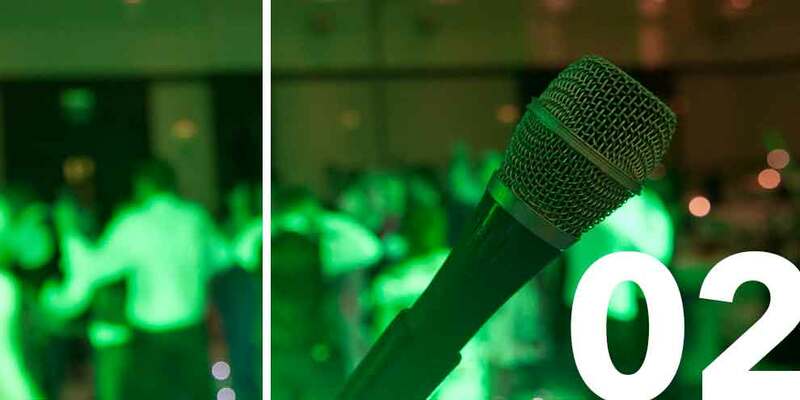 We’re always polite both on & off the microphone, always well dressed, always setup quickly & efficently, and always considerate & helpful to any other suppliers that are there (such as videographers, photo booths, dancers, etc). – which in turn helps the everything run smoother. Essentially, we’re extremely professional and relaxed to deal with, which in turn means that you never have to get stressed out about what should be the most relaxed and best part of your wedding day – your evening reception! Apart from that, here’s another 10 reasons! We’ve won five wedding awards that have been voted for by the general public (the readers of Getting Married in Northern Ireland magazine), so we must be doing something right!! See our awards page for more details. 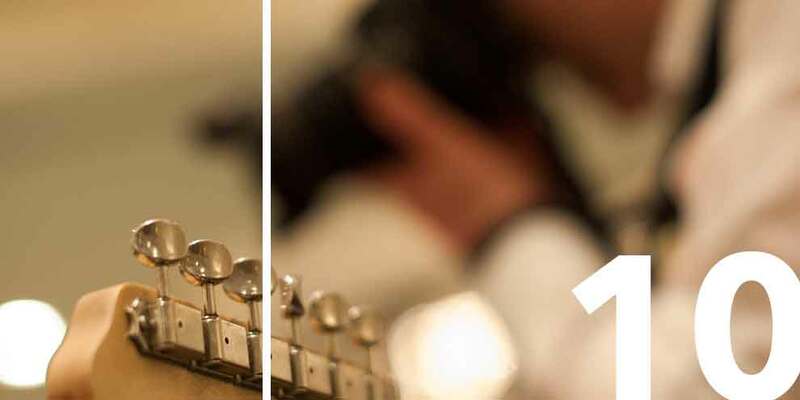 Nothing hones a skill like experience, and we’ve played at hundreds of weddings to tens of thousands of people – how many wedding bands can say that? You can be confident that we’ll help you have a good night. High quality equipment provides improved clarity, and results in a more comfortable listening level for you and your guests. A better quality sound is also easier on the ears – your guests will thank you for it! 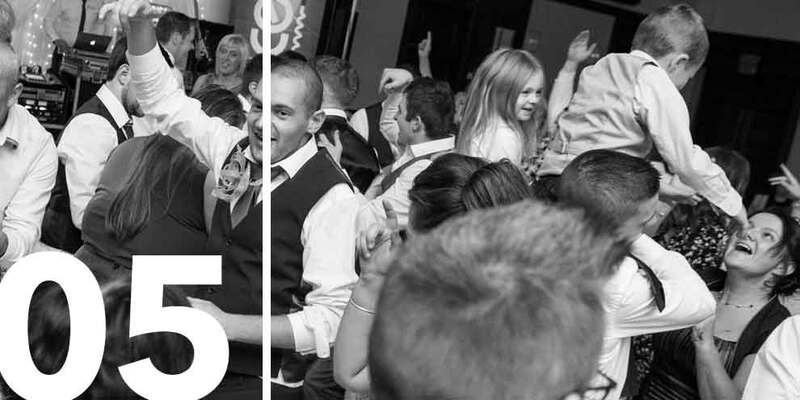 We play a very wide range of constantly evolving music and styles, this allows us to quickly and consistently adapt to a wide range of age groups and crowds – hopefully keeping the dance floor full! Strangely enough a lot of bands don’t or can’t play to the crowd – WE DO! It’s a vital part of what it takes to make a wedding work. The crowd dictate what we play EVERY night! We’ve an UNBLEMISHED track record – NEVER failed to turn up and NEVER been double booked. Bar a medical emergency, we will ALWAYS be there. Why take a chance on YOUR big day? We have a smart/casual dress code on stage, plus the visual appearance of our gear is constantly maintained. No point dressing the room to perfection, to have tatty looking equipment spoil it! Peace of mind for you and your guests if there’s an accident. There’s actually very few bands that have public liability insurance, but we do! We’ve never needed it, but at least it’s there just in case! It’s always good to get recommendations and hear someone else’s opinion, so the hundreds of great comments that we’ve received are available to view on our comments pages on the menu above. We take a high quality group photo after the last song, using a pro DSLR camera (not a phone!). It’s a great memento of the night & our elevated stage position gives us a great place to shoot from!